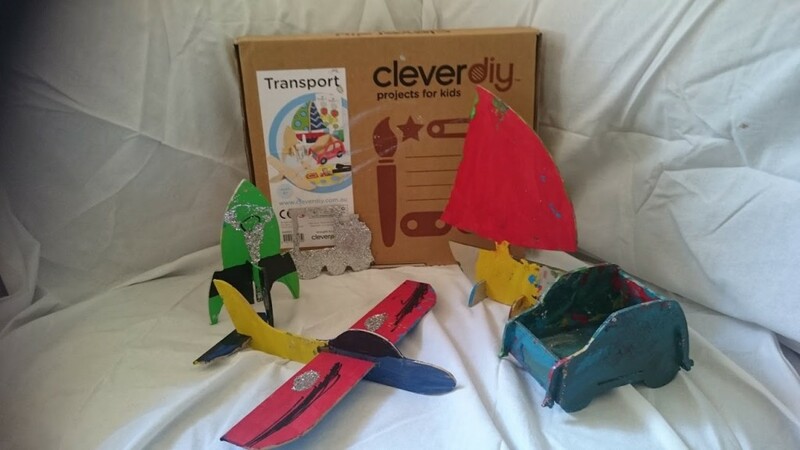 CleverPatch recently sent me a CleverDIY Project For Kids craft kit to test out – and before we’d even opened it up it my kids thought it was the most exciting thing that had come in the mail all year. CRAFT IN THE MAIL! Yup. SO exciting! 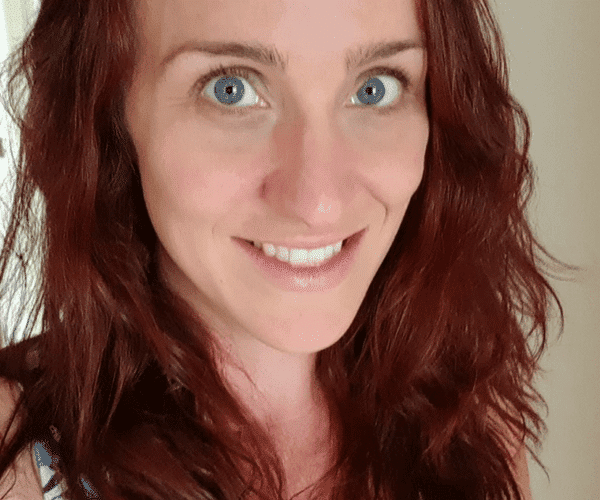 I always imagined I’d do a lot more craft activities with the kids and I really do try, but honestly the hassle of coming up with new projects, gathering supplies, then having things maybe not turn out quite the way we’d planned – so I don’t do craft activities with them nearly as often as I would like to. 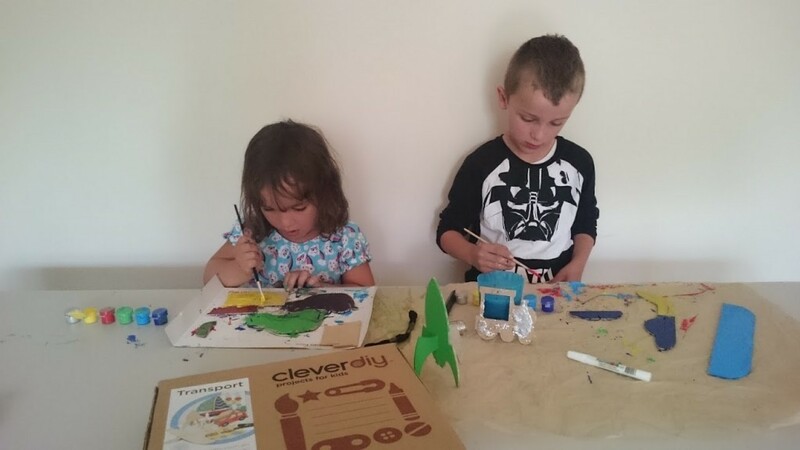 The great thing about the CleverDIY projects, aside from the awesomeness of being a total craft kit with everything your child will need to complete their project, you can subscribe to receive a new kit monthly, which means you don’t even have to rely on remembering to buy another one. If something is just coming automatically to my house I’m much more likely to be motivated enough to open it up and let my kids do the activity. It’s not even necessarily laziness, it’s that I am terribly disorganised and I’m perpetually intending on doing things “tomorrow”. 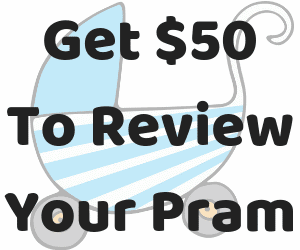 CleverDIY takes me out of the process – aside from the cleaning up. Unfortunately it’s not a box of magic, so there’s still the usual craft mess, BUT it did come with a craft mat to at least try to make it a little easier to pack up at the end. 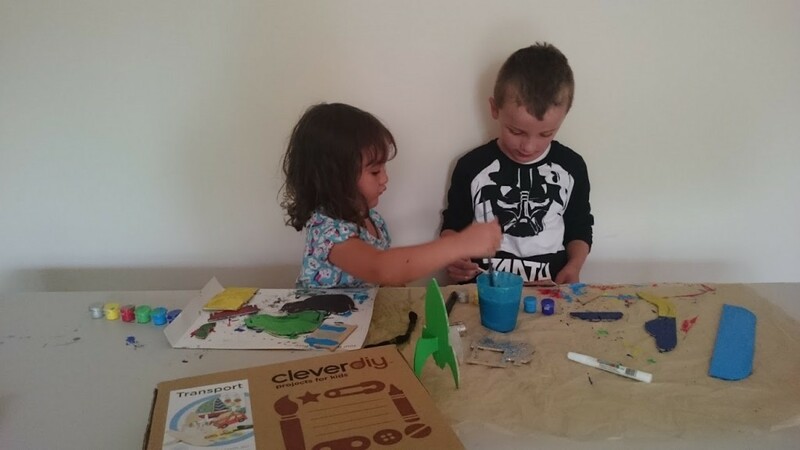 The kids had a great time painting and decorating their CleverDIY projects, which was Transport themed. A couple of small tips I’d suggest for parents buying these craft boxes. If the kit is for two children (or more) make sure you have another paint brush, because the box set only comes with one, so that caused a little bit of fuss early on, but thankfully I was able to find a second paint brush pretty quickly. Also it might be worth checking how many craft projects are in the box before handing it over to multiple children, because in this CleverDIY kit there were 5 different vehicles to decorate – which didn’t divide very well between 2 children. So maybe whip one out and hide it for when the other child is at school or kindy. Just a warning. It may contain glitter. If you don’t like glitter consider taking it out and tossing it in the bin (or post it to your enemies) If you do like glitter though – That’s great. Enjoy! With Christmas rapidly approaching these would make great gifts – especially being a Non-Toy gift idea – either just the one CleverDIY kit or a pre-paid subscription – you can also pay an extra $15 to get a “Share box” which is for two children to do the same complete projects, with their own paint brushes, craft mat etc. Lastly – I made a little video about it. It’s my first time using video editing software, so it’s not perfect, but I just wanted to have a go. I hope you like it! Ah yes, that stage! I remember that. We had to ban all kinds of craft because our littlest was definitely into eating *all the things*.